A wait list has been started. 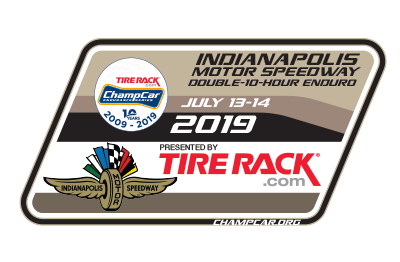 In the subject line put "Indy Wait List Request"
Event Costs and Payments: There will be no discounts, nor any early pay discounts for this race. You may apply your banked race credits for payment. The event will cost $2800 per car. $700 will be required as a deposit for the Indy event on or after November 1, 2018. The balance due date will be on May 13, 2019. If not paid, your deposit will be returned and the space given to the next waitlist team. Volunteer to work the 2019 Indy race and you'll have first shot at registering for the 2020 event, in addition to earning our standard payout for event workers. Departure will be Monday at 12 Noon. While you cannot purchase and reserve your race parking online, you can certainly start the process on our website. Thank you for considering Speedway Post 500 for your race parking needs. Speedway Post 500 is available for overnight camping stays on non-race weekends as well. We look forward to hosting you. No barbecues on IMS property. Awaiting for the camping rules from the Indy Legion campground. Access map updated with new areas that you can visit to watch the race. No pets allowed on the IMS facilities. Parts shipping to the track info revised. Team Load-In - be advised that this will be finalized a few weeks before the event. So please don't panic if we don't have all the procedures down yet. They will be. We are working on maps that we will send you to make your arrival to Indy super smooth. After hours work on your car is still being discussed. If you have additional questions, please send them to me and I will try and get them answered. This item is up for discussion by the track. We will discuss with them some scenarios at our next phone meeting. They are not against the idea, they just want to make certain everything can be done safely. Thank you, Champs from your staff at Champcar! This will be EPIC! I woke up 8 minutes late (12:08) and registered. Figured I would check to see if anyone else had registered yet.... 96 cars were already in!!!!!!!! @Jer is there for sure going to be no test day on Friday, just move in? Maybe Bill can organize the ability to walk the track on friday? Indy is pretty strict on this. No test day, not sure about a trackwalk. Thanks for being a part of the series!!!! Ugg, no idea indy filled up this fast. Was checking may be once a week to sign up before I saw the FB post about it already selling out. We really wanted to do another race outside of VIR this year and chose this one. . .Wait list it is I guess. Working on it. No test day. But we may do some paced laps behind the Opel GT in your personal cars. It's early. But I will try. Thank you guys for making this happen. Question: Will staff be reviewing all the entrants for eligibility i.e. raced within the last year? How does that work? Can't Wait for this event. I'm glad to see some familiar Team names on the entry list. Epic is the word for this. yes. All entries will be vetted before the final list of entries is approved. All payments must be completed and all cars must have raced with ChampCar between January 1, 2018 and Indy race week. Learned a lesson, last night. I did not know about the driver pool size requirements. I went to register our second and third cars, but discovered that our driver pool was not large enough. Not a good way to kick off our ChampCar business. Despite the letdown, I'm seriously impressed at the speed with which the event sold out. The Bandits team from Idaho are bringing their TransAm to Indy! Anybody else from the West on the list or wait list? Unfortunately, BuckSnort only had two drivers registered last night and frantically tried to have our other drivers sign up, but it was too late. We'll be anxiously awaiting to see the outcome of the wait-list. Congrats to all the teams that made the cut and also to ChampCar for offering a once in a lifetime experience. We plan to race again in 2019 after a year hiatus filled with weddings, graduations, new babies and work travel, but we're planning to refocus life priorities back to racing. Indy is VERY easy to learn, but tough to master. You'll have it figured out by lap 3. It's finding that last 5% which will still seem elusive, when you leave the track on Sunday. It is an easy track that is deceptively challenging to drive fast. On the plus side, the Indy safety crew is beyond incredible. They were arguably the most entertaining feature of the Runoffs in 2017. 1st, it looks like the rusty cougar is coming out to play! YES! 2) there are at least 2 teams that have 3 cars signed up. (Thought it was limited to 2 cars). 3rd, this is not the only track that champcar has raced at with no practice. It will be fine just like it was at every other track. I too am gravely concerned about the lack of practice. I humbly request that everyone stay to Driver’s left until we pass you. We are willing to take one for the team and elevate the greater good by leading the way into the great unknown. So, now that I’ve been shut out, who has an open seat? Now that we are in there are many things to ponder, including a possible seat or 2 rental, stay tuned, I am sure we are not the only one with decisions to make. It's a long time until July. Gonna be changes. Holly Cow.... we were having trouble getting to the website about that same time. We got in a few minutes after you. If you were #96 then we barely made it! Problem is, a lot of teams don't realize they can't make it until about a month out. I'm hoping we get in; would be awesome to race another corvette. Any idea when a waiting list (in order) will be published?